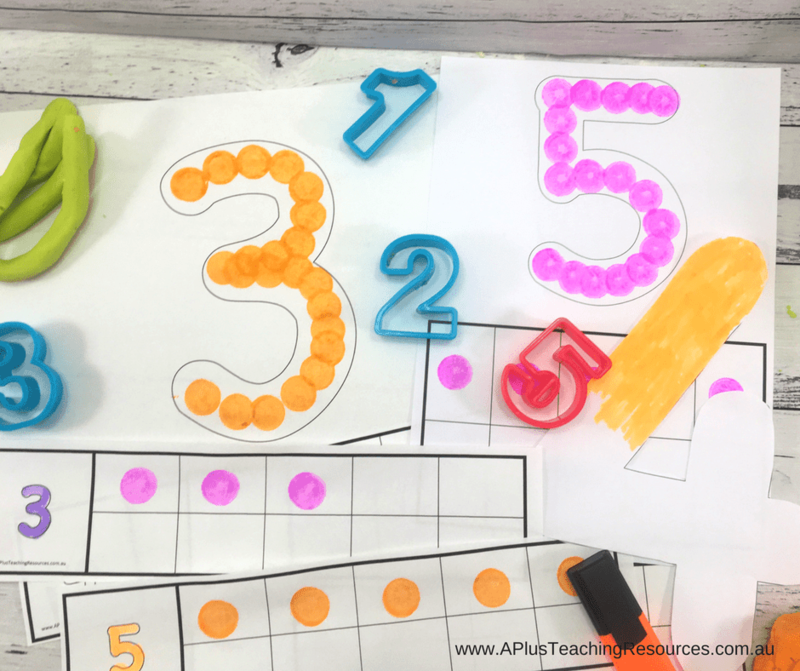 Our Roll and Dot the Number Printables are perfect Fact Fluency Dice Activities for Preschool & Kindergarten math centers. 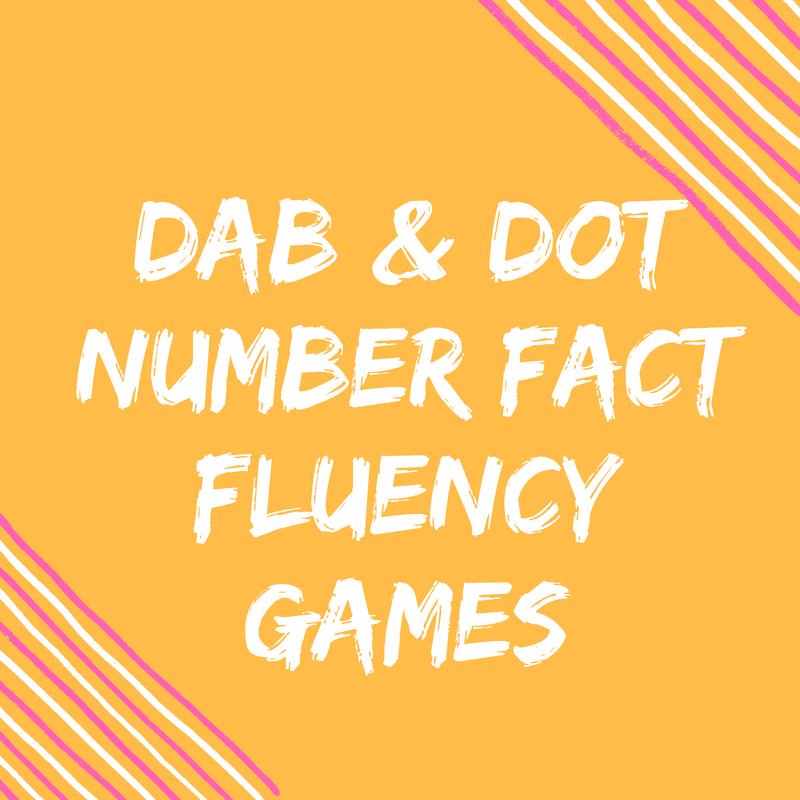 Kids love dabbing & dotting while practicing subitizing, number recognition and addition facts! So much Fun! 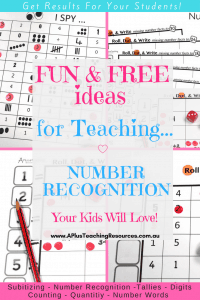 Our Number Fact Fluency dice activities are excellent math games to keep kids motivated and engaged in their learning. 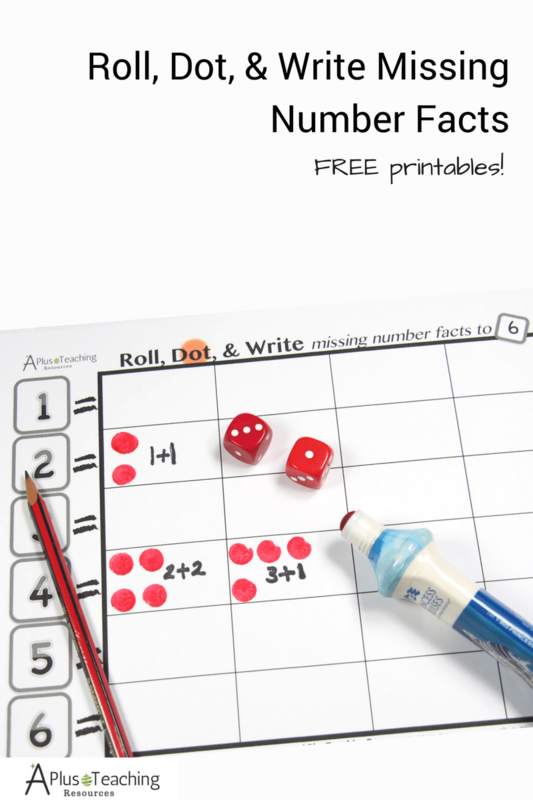 Your kids will enjoy using dice but will love dabbing and dotting with Do-A-Dot markers even MORE! 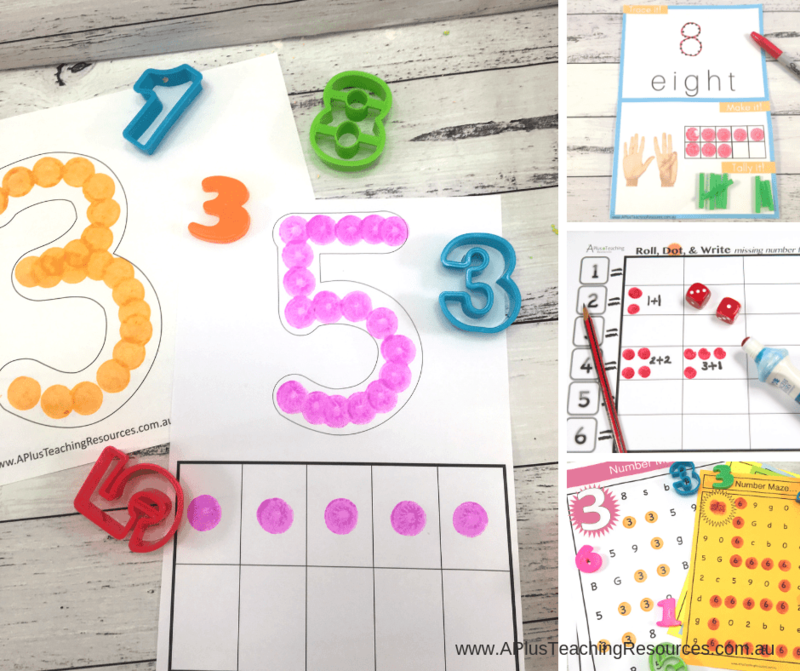 These free Do-A-Dot the number printables are a great way for children to practice matching numbers as, digits, words, tallies and dots. 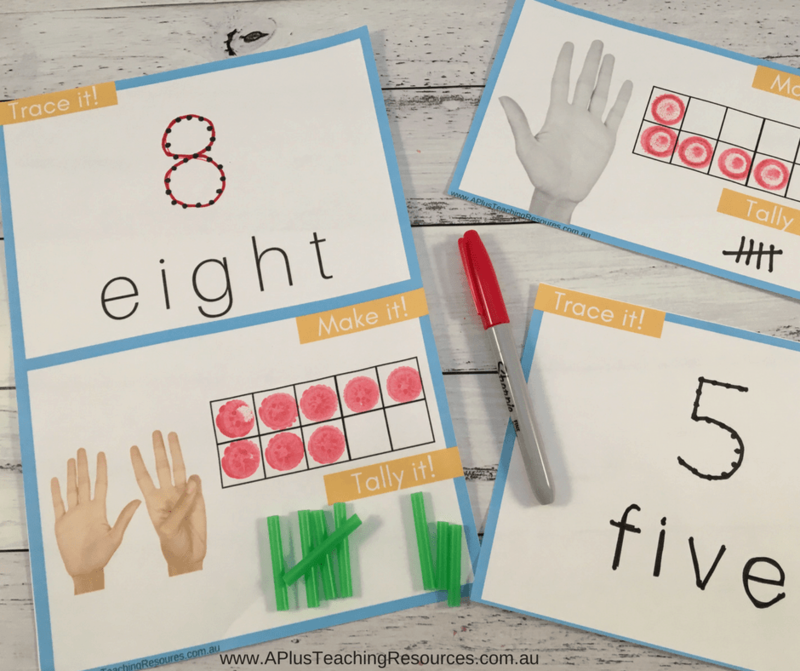 The are also a great way for kids to build fluency and number sense. 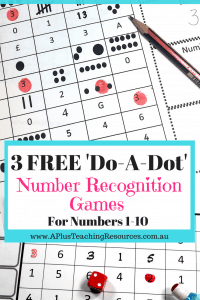 There are two dot activities, one for teaching number recognition and a second for teaching addition. Scroll to the end of the post to get them! *Some links in this post are affiliate links. A Plus Teaching Resources may receive a small commission for referring your purchase at no extra cost to you. Thanks for supporting this website. 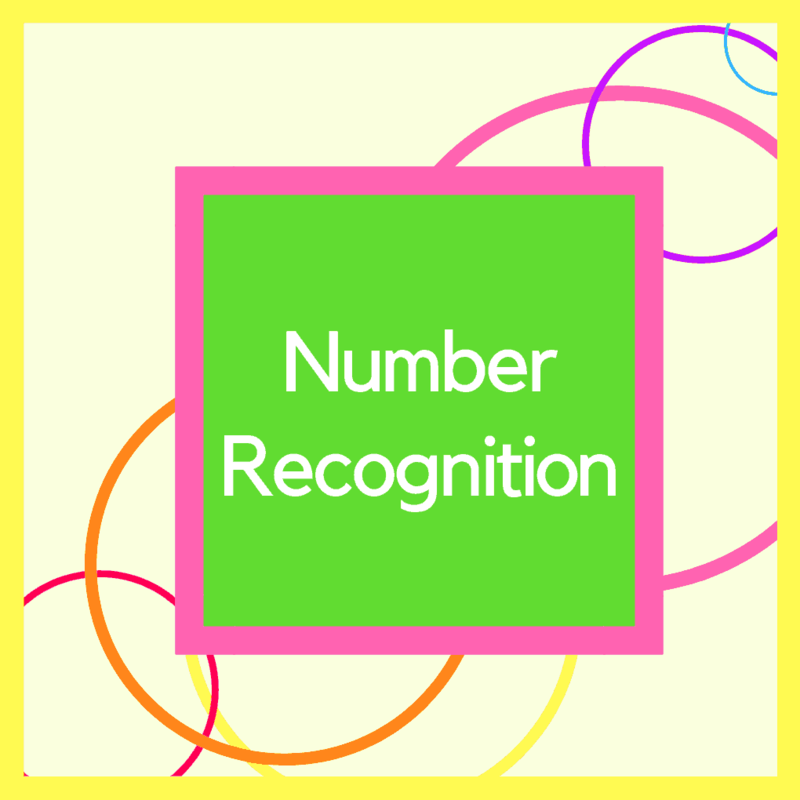 Many of our students find it just too hard and frustrating to work on fluency and automatic recall. 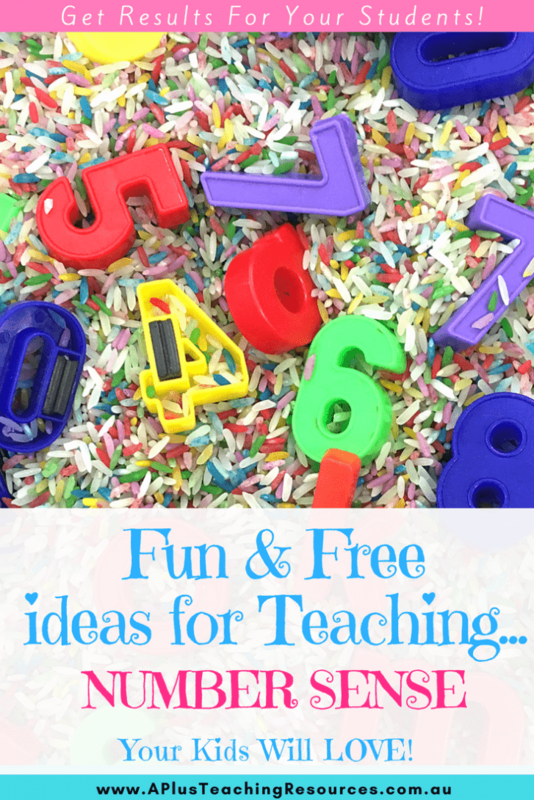 And they can become off task and distracted if the activities are not engaging enough. So we are always on the lookout for some extra novelty factor to keep them hooked! Dice games have long been our secret weapon! 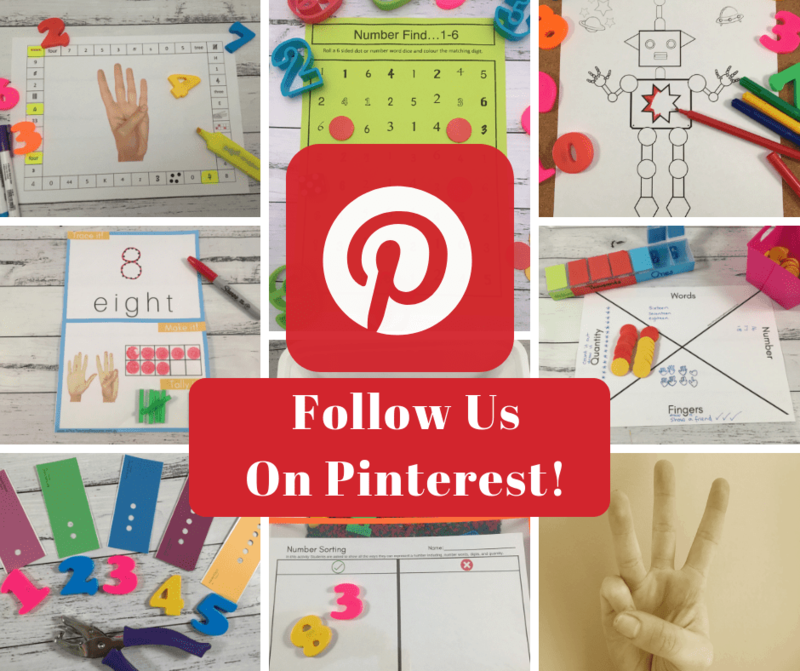 Do your students seem to understand more when you let them use dice during math time? So do ours! 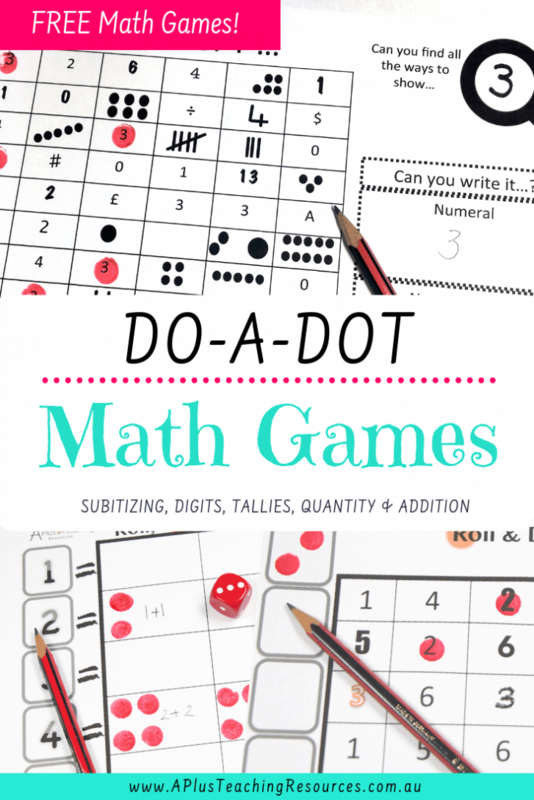 Introducing the Do-A-Dot Marker! The kids just ♥love♥ using these markers. 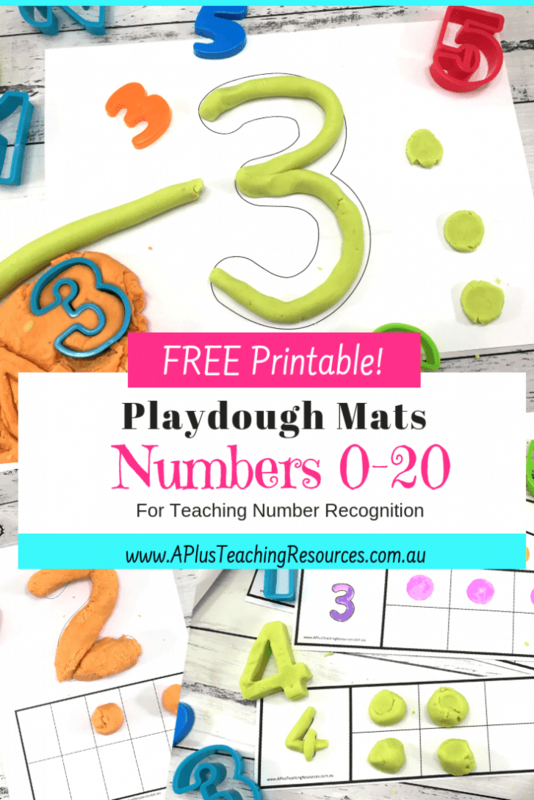 They love the dabbing and dotting because they don’t have to write and as you know the fine motor strength of the writing process takes so much out of the kids. 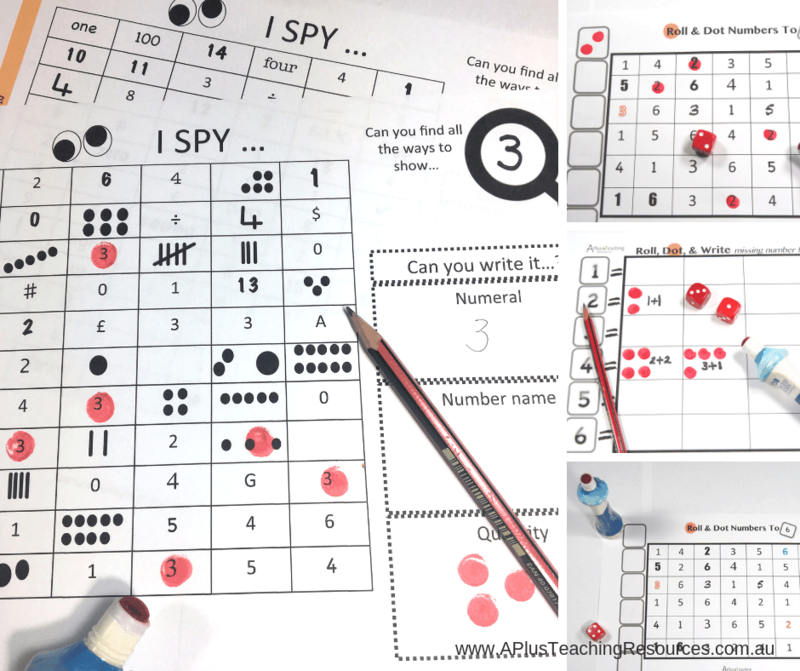 So the dab and dot markers really helps to keep the kids engaged and focussed on the math! 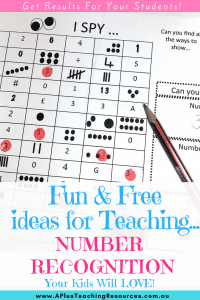 They have so much fun doing dab and dot printables they can forget they are learning… What a result! 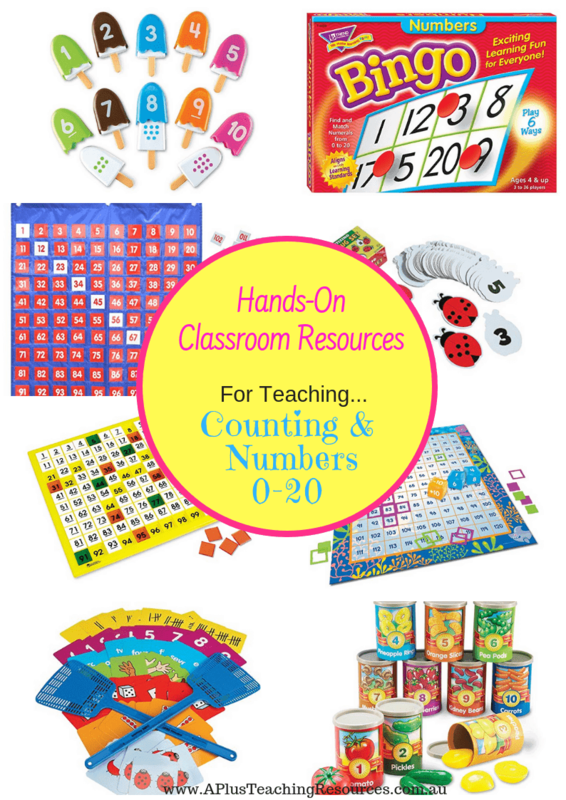 they’re a MUST for any teacher’s toolkit… give them a try you won’t regret it! 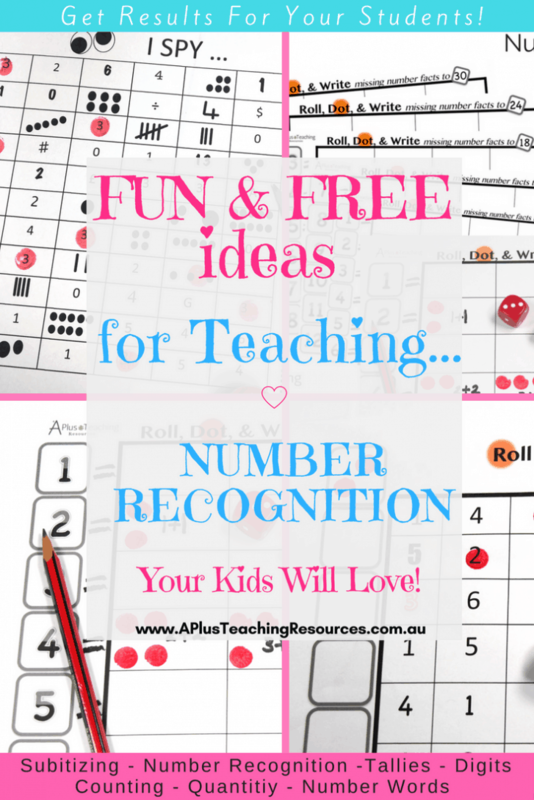 This activity is great for developing the ability to subitise and match the corresponding numbers. 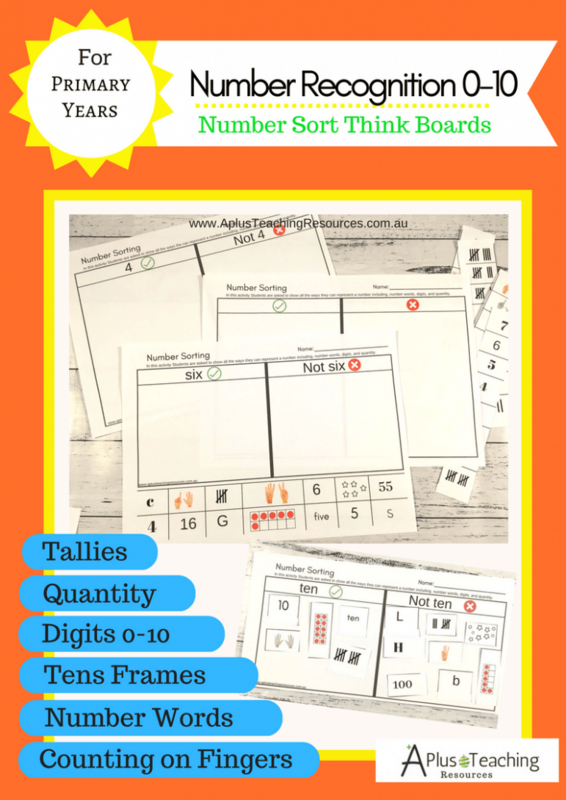 We created this version to help students build number fluency & recall basic number facts to 30. 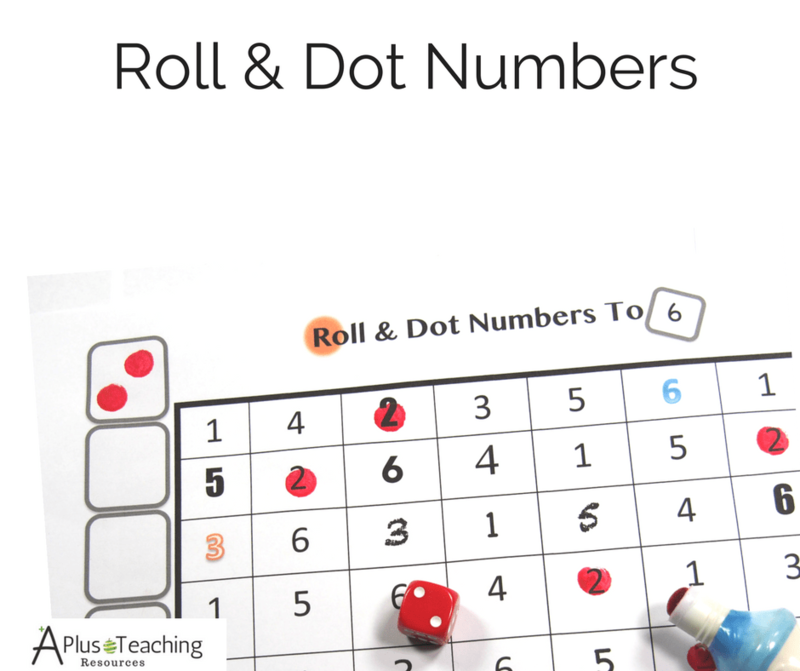 Students roll one or more dice, find & dot the total rolled, then write a matching number fact using addition, subtraction, division or multiplication . Next post: How To Make Homemade Playdough Soft & Squishy!